Nothing fancy. Nothing difficult. 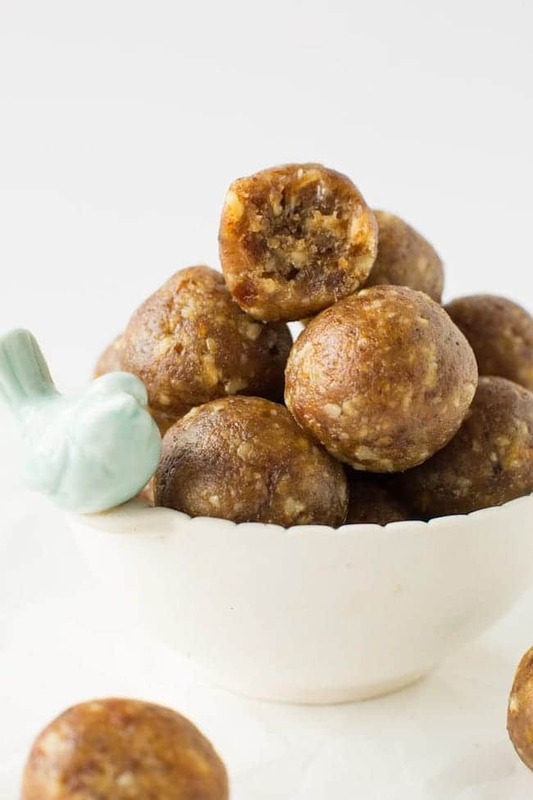 Just two ingredients, a blender, and a few minutes of rolling to get these super easy, wonderfully delicious and incredibly moreish nut & date balls! This recipe is actually the exact same recipe that I use whenever I need a crust for a vegan cheesecake. Every single time I make it I can’t resist eating up little bits and pieces of the crust so I figured it was time to give a proper home here. And let me tell you these are even better when rolled into little balls. As balls these are more truffle like than anything else. 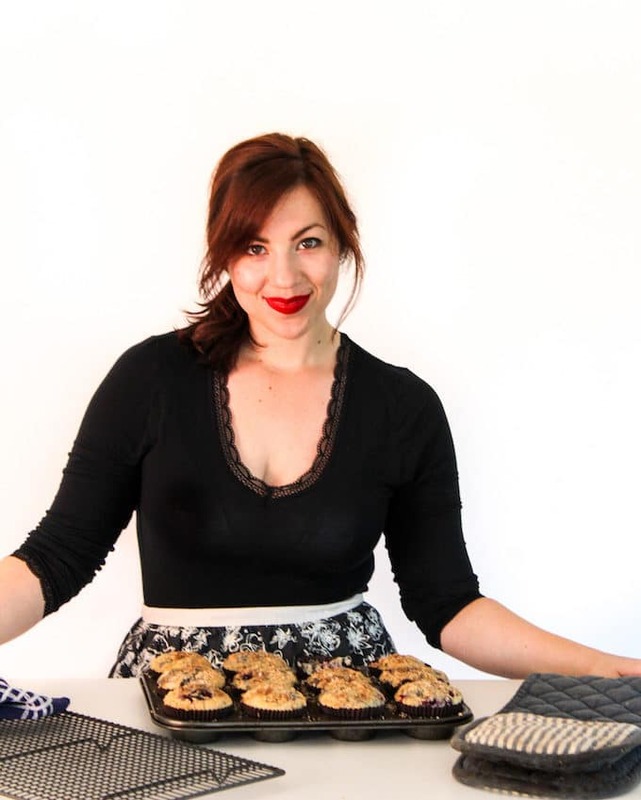 Nuts: Pecans or walnuts – use either or both! They’re both great here. Blender or Food Processor: If you use a blender you’ll probably need to stop and scrape down the sides more often, but it’s still an easy enough task. Just pit your dates, through everything and a blender and blitz away. 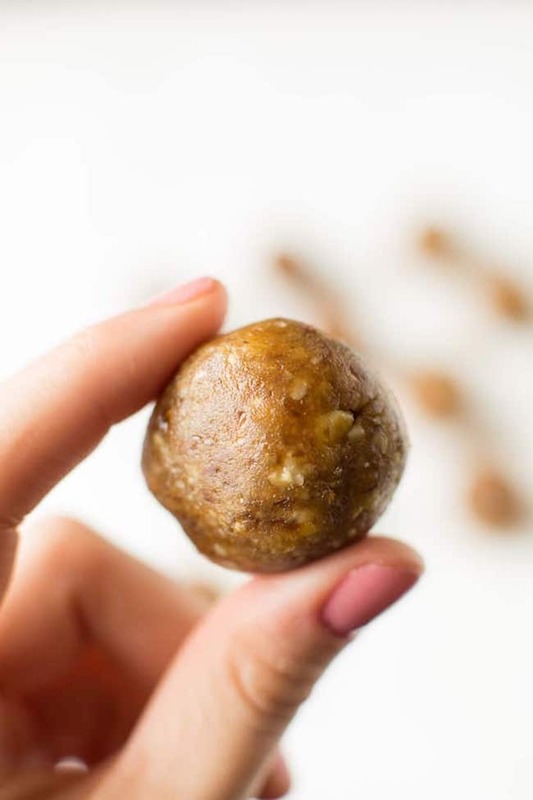 Within a couple of minutes at most you’ll have a sticky, paste-y, sand-like mixture perfect for rolling into balls. I like eating these 1 or 2 at a time with a cup of tea for a little afternoon pickup. You might be tempted to eat more, but they’re so rich and satisfying you won’t need it! 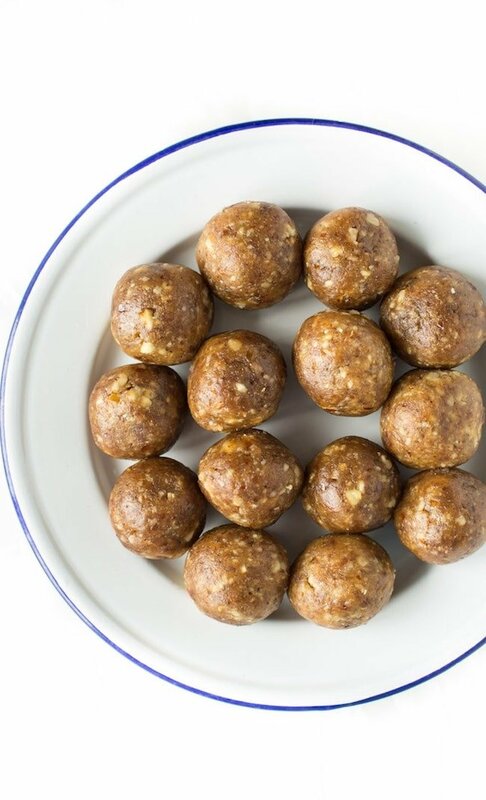 Store these in the fridge and eat throughout the week whenever the sugar cravings strike. If you like these you might also like my Mixed Berry Whipped Coconut Cream Pie, Vegan Snickers Cheesecake, and Raspberry Swirl Raw Cheesecake Cups. 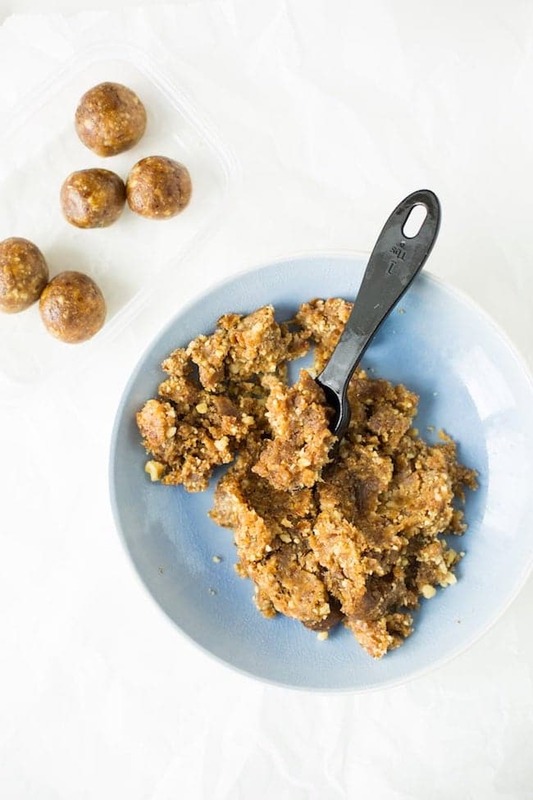 Don’t forget to #asaucykitchen on instagram if you try these Nut & Date Balls! I’d love to see what you make with it! You can also post your pictures to my facebook page! Add the dates and the nuts to a food processor or high powered blender. Blitz together until the dates and pecans are broken up into small pieces and come together. If your mixture is too dry add a couple more dates. You may need to stop to scrape the sides down occasionally. Transfer the mixture to a small bowl for easier rolling. Scoop out 1 tablespoon of the mixture at a time and roll into little balls. You should end up with 12-13. Store these in the fridge and enjoy! Hi these look awesome. I made some at Christmas that you had to cook plus had added sugar. My question is can you use Cashews or Almonds. I can’t eat Pecans or Walnuts. Will be checking out your web site. Thank you for your recipes. Hi Faye! You can use whatever nuts you like! You may need to change the amounts slightly – if the mixture is too dry add another date or two and if it’s too sticky throw in a few more nuts. Hope that helps! Could I make these with hazelnut do you reckon? 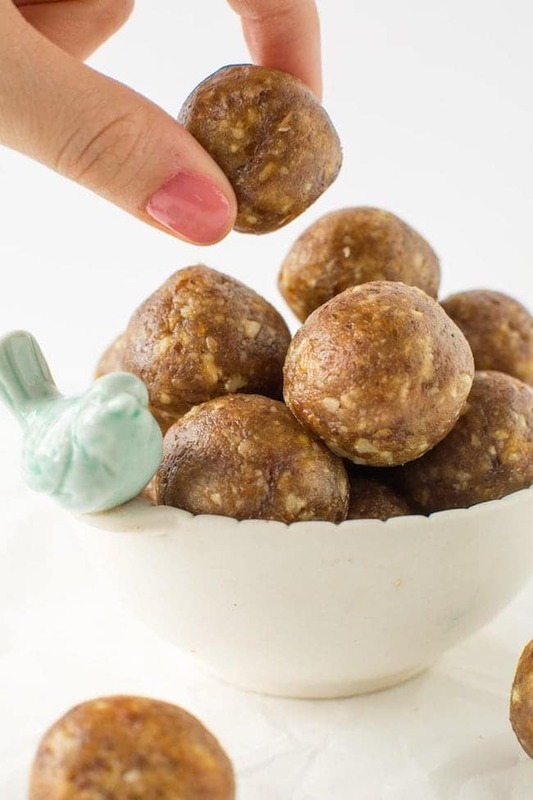 Such a great snack – love how easy this is to put together, too! These look delicious! 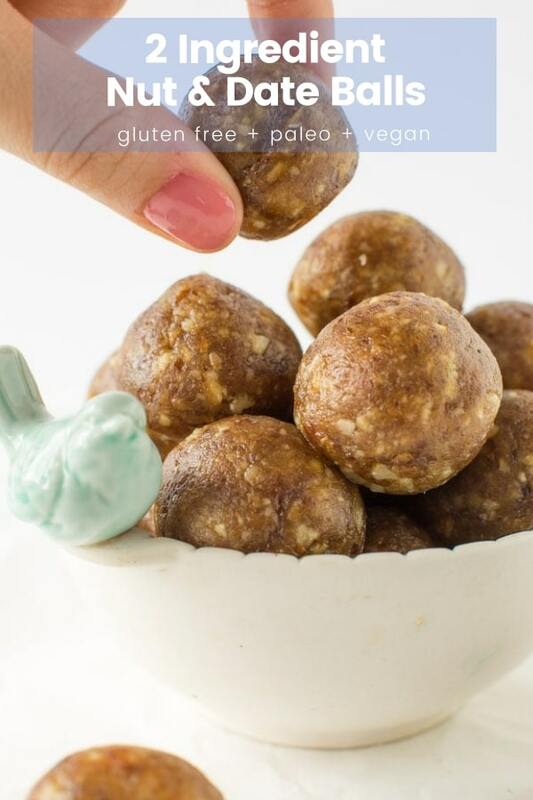 I love these healthy balls for snacking!